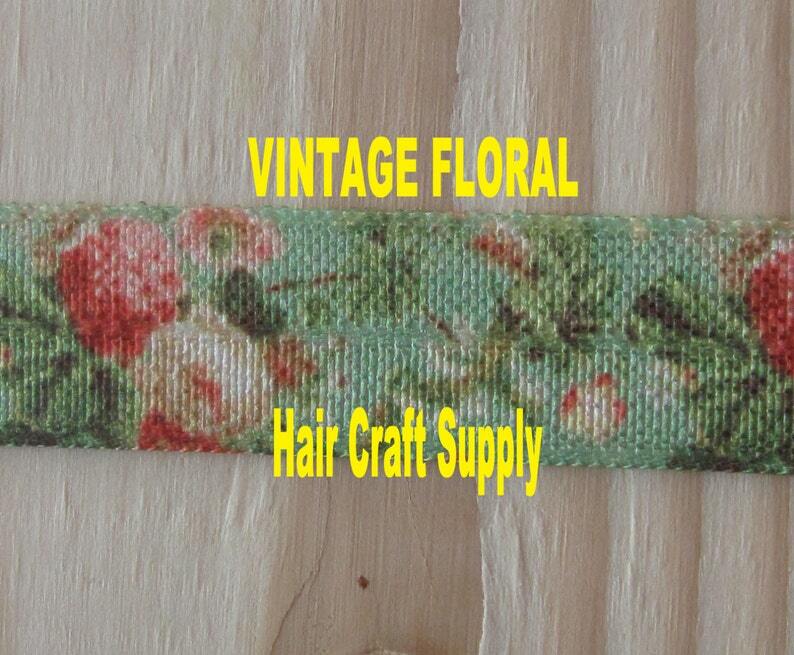 Listing for 1 - 5 yards of fold over GREEN VINTAGE FLORAL elastic - Assorted Colors - Elastic width = approximately 5/8 inch. Choose length from drop down menu. 1 YARD (36 inch) will make 2 headbands per yard. Perfect for hair ties also. COLORS MAY VARY SLIGHTLY FROM COLORS SHOWN ON YOUR MONITOR OR IF VIEWED ON A MOBILE DEVICE. SIZES VARY around 5/8 inch depending on color chosen. Visit our ready to ship site for ideas and to purchase ready made items. Note: Elastic Color Shades may vary from one shipment to the next. Ready made items are shown for informational use only.